Welcome to the SANJO Railroad, thank you for visiting! 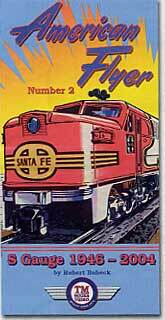 I hope that you find this site full of neat American Flyer items and easy to use. 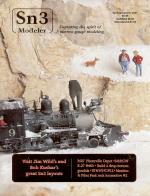 Content: The content of this site is related to the great hobby of S-Gauge railroading. Many of you are like me who find great joy in running American Flyer engines around your most recently acquired mechanical loader, cattle shoot, train platform or spotlight. I hope to use this site to share my train room with other s-gauge enthusiasts and spread the joy's of s-gauge railroading. Navigating this site: Navigation on this site can be found in three places on each page. First, the six "buttons" that you see at the top of this page will be at the top of each page on this site. Second, on the left hand side of this page, you will notice some "text links". These can also be used to take you from one page to another. Third, at the bottom of each page is again, a set of text links which can be used to navigate your way through this site. 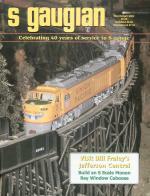 Links to other sites: The additional links will take you to some familiar s-gauge sites. These are a few sites that I have used frequently and have personally found them to be very helpful and informative. Having said that I must state that I am not being compensated in any way to advertise these sites, nor do I take any responsibility for the content of said sites. Thank you for visiting: Finally, whether you came here directly or just came across this site by accident, I hope that it was easy on the eyes, informative and provided you with some enjoyement or information which you did not possess upon your arrival.